The Scottish referendum on independence results are in: “NO” vote at 55% and “Yes” vote at 45%. The difference was larger than some predicted but still an outcome that showed a serious disaffected group. The vote and the hot debate which divided the population, families, students, the old and the young seems to be settled at last, but now the promises of new powers to Scotland need to be enacted. The real impact of this separatist movement was significant impact on global cooperation and greater international unity that looks outward and not focused on inner divisions that are corrosive to solving real problems. The vote saw record Scottish participation. 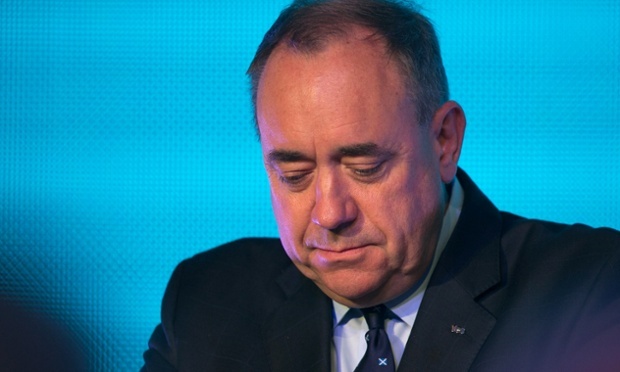 First Minister Alex Salmond made his last rally with an impassioned but general plea for independence. On the “No” side was former Prime Minister Gordon Brown who made an equally impassioned and heartfelt argument for continued unity of the United Kingdom and remarked on the union’s long shared history. Brown seems to have made a real impact on the vote. One constant background factor was, as we have reported earlier, the Scots, and for that matter many English and Welsh people, see the way the Tory Party, starting with the far right Thatcher government, has waged a war of cruelty against the common working people. They saw efforts to impose a “poll” tax that was regressive, the destruction of social housing, the closing down of mines, and public utilities going private – with rates going up – and efforts to destroy their national health care system. This effort was continued under the present Conservative and Liberal Democratic government which only exacerbated these feelings of alienation. The Scottish debate also brought forth voices for more “English” devolution by the Tories looking to keep their power by giving England, their voting base, more power to govern itself and to stop Scots from voting in Parliament on “English issues.” By doing this he has created a new “divide” for partisan political purposes and may have set the stage for serious disruption to the fundamental un-written UK constitution and started another fractious debate in the middle of a still worrying economy and with the need to address serious problems shared by the entirety of the UK. Some have asked why the focus on this vote? The simple reason is that this is an example of a growing trend towards separatism or particularism and also citizen alienation which has enormous implications for the security, the unity of nations, and regions. Thursday night, before the vote was in, there were voices of leaders in Europe who pointed out the negative impact of this vote on Europe, no matter what the outcome might be. Spain, Belgium, Italy and other nations are facing forces of disunity which are likely to undermine the process of increased integration and economic growth within the entire EU and perhaps beyond. Indeed we are seeing the results of these fracturing societies and nations in Iraq, Syria, Lebanon, Turkey, Sudan, and many more. In many of these cases the processes of “separation” have been driven by force and not by democratic process. In Scotland the nationalism was from the left, but elsewhere it is more from neo-Fascists and xenophobic right movements. On a deeper level this process of particularism and myopic nationalism is destructive of greater effective global cooperation and a sense of common cause in solving global challenges on a wide range of issues like health, climate change, inequality, nuclear proliferation, security, migration, etc. One lesson in all of this is for governments and regional and global institutions to do a better job of helping their most vulnerable people, minorities, and acting in ways to be more inclusive and caring rather than myopic, self-centered, corrupt, and indifferent to the reality of people’s lives. We would have a safer and more humane world if we learned a lesson from these moves towards narrow nationalism and particularism. Next Article COALITION AIR STRIKES OVER SYRIA AND IRAQ – WHERE NOW?